More than one in 10 children hospitalized with sepsis die. When clinical protocols mandated by New York State are followed within an hour of detection, however, the odds of death fall 40%. That’s according to an analysis conducted by the University of Pittsburgh School of Medicine, the results of which were published in the Journal of the American Medical Association. Study senior author Christopher W. Seymour, MD, a researcher and associate professor at UPMC, spoke with HealthLeaders Media about the study findings. HLM: Why did you do this study? Seymour: The New York State Department of Health mandated protocols in sepsis care for all patients in New York State in 2013, but there’s been no large-scale studies investigating the outcomes of particularized sepsis care for pediatric patients. We felt this would be a valuable contribution to public policy and also for sepsis care for pediatric patients. HLM: Did you find that some hospitals are not following the protocol? Seymour: Prior to the protocol in New York State, there were, was and are practice variations among hospitals. Once Rory’s Regulations were put into place, compliance with the bundle of care did improve over a quarter, but it takes time for a community hospital that primarily see adult patients to figure out the logistics of how to implement the blood culture, the antibiotics, the fluids bundle of a pediatric patient within 60 minutes. I work in a children’s hospital so that is all we see and do, but for some community hospitals they may see pediatric patient with sepsis every few years. there is definitely a learning curve for hospitals. HLM: What’s the biggest roadblock to more comprehensive utilization? Seymour: Part of it is recognition. Sepsis is not like a heart attack, or myocardial infarction, where there are lab tests and an EKG that can make you feel confident that that is what you’re diagnosing and seeing in front of you. Being able to promptly recognize sepsis, or a patient who is at risk of developing sepsis, is Part 1. 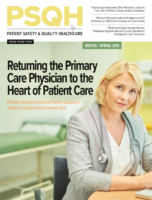 Part 2 is making sure you have the equipment and institutional policies and expertise to be able to execute bundled care within the given timeframe. HLM: How much does this protocol cost, per patient? Seymour: That’s a great question that I do not have the answer to. HLM: Why is the protocol effective? Seymour: There is a biologic and physiologic basis for all three interventions: Blood culture to help guide definitive treatments; antibiotics to treat bacterial infection; and fluid bundles to help reduce shock—and shock is a known cause of worse outcomes. Also, once a patient is recognized as having sepsis, there may be a greater sense of urgency, or an awareness by the care team and more attention is paid to that patient or more resources are utilized for that patient. That may be additional lab tests or transfer to the ICU or expert consultation. It gets people focused and thinking about the patient in front of them. HLM: Your study notes that randomized clinical trials to determine the effectiveness of individual components within the protocol bundle would be difficult. Why? Seymour: For most providers it would be difficult to see a patient who either definitively has sepsis or is suspected of having sepsis and then decide that, for example, this patient is not going to get antibiotics. It’d be near impossible to get providers to decide “I’ll give this patient antibiotics, but this patient doesn’t, even though I think they need it.” Especially when we’re talking about mortality in children. People believe in blood cultures and antibiotics and they are effective. Deciding a patient is not going to get those therapies is really not feasible. HLM: How can we determine the effectiveness of components within the bundle? Seymour: As more states adopt bundled care there will be opportunities to do analyses, not for randomized control trials, but more in-depth analyses to understand the separate benefits that are coming from these bundles. Is it the biological benefit? Is it better care being implemented because the bundle is there? There’s need for more analysis to prove causality and not just association. HLM: How do hospitals determine when to begin the protocol? Seymour: In New York, each hospital designs their own protocol trigger. For some hospitals, it was the patient has two-out-of-four symptoms, and this means our protocol trigger and that is the start of the 60-minute clock. Some hospitals use abnormal lab tests, and that is when the clock starts. Other hospitals may use when the patient is transferred to the ICU. This is something that hospitals and states would need to decide, because there is no universal consensus about when a patient has sepsis. New York allowed hospitals to determine their own protocols to promote wide adoptions of Rory’s Regulations. If a test in the future comes out that helps people know when sepsis is happening, that would be a good starting point. Right now, without a universal definitive test it is up to each hospital and provider to make that determination. HLM: What’s the best use for your study’s findings? Seymour: It’s encouraging that we found this association. Expert opinion has been that bundled care would help patients, so it is great to see a study of this size support that. Going forward, hospitals will need to look at their own practices and figure out how they could best provide timely care to pediatric patients with sepsis. Figuring out what obstacles may be present in terms of getting antibiotics within one hour, establishing IV access, recognizing when a patient has sepsis, this study provides good support for hospitals to figure out best practices.